Watching Wimbledon? Winning on the tennis? You probably aren’t even aware. 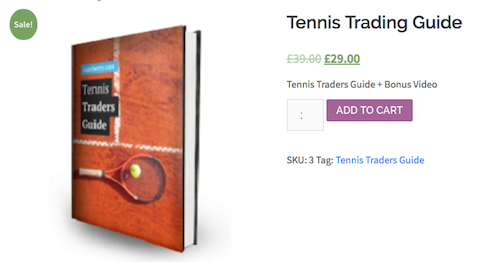 But a month or so back a tennis traders guide was added at caanberry.com. As a new training aide it was introduced at a reduced price. – Explanation behind tennis pricing, movement and momentum. – Advice on where and when to trade (because it matters). – Several strategies and approaches. – Unlimited future updates (lifetime access). – Bonus strategy video (little-no-risk). The added strategy video alone makes it a no brainer as far as I’m concerned. It’ll show you a simple way of making a profit regularly with very little risk. Either way the contents are bound to save readers a huge amount of time (and horrible red screens). Bet72 are delighted to announce that we have teamed up with top Full Time Professional Trader Caan Berry to bring you a fantastic & unique trading product offer. I am sure most of you will know the name Caan Berry, he was featured on Betfair as part of the ‘Pro Traders’ campaign and is the author of the highly successful Pre-Race Trading Guide. The guide focuses on helping you lock in a profit by trading horse races before the off. With an average of 30 races per day, it’s easy to see the potential. 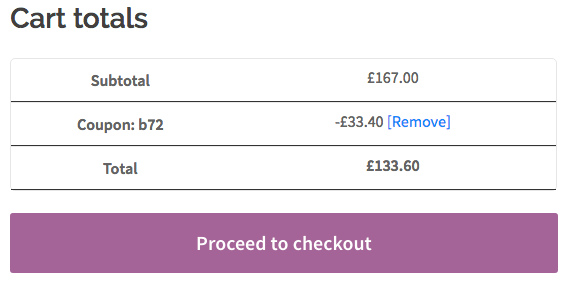 Just £5 per race soon adds up. The guide is jam-packed full of Betfair trading gold dust you won’t find anywhere else. It’s designed up give you the upper hand and it doesn’t involve using any bookmakers either as everything is done on the Betfair Exchange and is suitable for the beginner or more experienced trader alike. So what if we said, for a limited time you could get this guide AND full lifetime access to our very own trading strategy & extra profit making site, Betting System Notes (we have just added 4 more brilliant new profitable strategies of our own) for one single crazy price? Usually, Betting System Notes and Caan Berry’s Pre-Race Trading Guide, sell for £39.99 and £39 respectively. 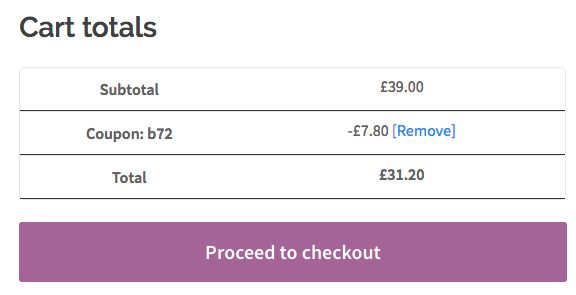 That in itself is a killer deal for the potential of the 2 products. However today, you can get Betting System Notes + the Pre-Race Trading Guide TOGETHER for an INSANE £39.99. Now that is some 2 for 1 deal! Of course time is limited though. This offer will only be available until midnight on Wednesday 26th of October, so please grab it while you can because this will not be repeated in 2016, if ever again. Plus we have a unique proposition for you…..If would like to make some instant risk free profit to cover the cost of the software bundle then please feel free to drop us a line (info@bet72.com) with a list of the bookmakers you have currently used and we can forward you some instant money to at least cover the price. Now that’s a win-win if ever I heard one. Seriously we am happy to do that for anyone, anytime, just ask as there is always plenty of low hanging profits to be collected everyday. Here’s Caan to tell us more about his guide…. Are your trading results a little random? Do you find all progress is consistently wiped out by one big loss? One of biggest problems amongst new traders is the lack of understanding, when trading an active market all the numbers, graphs and activity often appears quite daunting. Especially when it means very little to you. With all the opportunity on offer it’s hard not to get sucked in, but you fail time and again. It’s not uncommon for this to happen, back in 2009 it was exactly the same for me! Only after thousands of screen hours and study I managed to get ahead. With that in mind it’d be far easier to learn from my mistakes, saving a lot of time (and money) in the process. In 2013 I wrote the first draft of the Pre-Race Trading Guide to help others see exactly what I do when opening a betting market, and how I go about trading it. Back then there was virtually nothing on offer to assist new traders. It felt like trading in the dark! Since the initial release there have been several revisions and updates. The Guide is written without any additional ‘padding’ to make it clear and easy to understand quickly. Previous readers have reported a rapid change in results within a week. It’s important to remember trading isn’t just about winning large sums of money, it’s about not losing too! After a first read, that alone should have an impact on your results. Back in 2009 I realised there was some huge financial potential in learning to trade betting odds on Betfair, even though, back then I couldn’t imagine how it would feel to be making so much money each week. At the time I was receiving a very average wage, working long hours and feeling generally unsatisfied. This was my opportunity to experience financial freedom. It’s been a long time since I first started in the markets now although I still get regular emails from new traders experiencing the losses and pain I did all that time ago. The gaps and confusion in understanding still exist, for beginner and intermediate traders alike, when I began it was much the same. 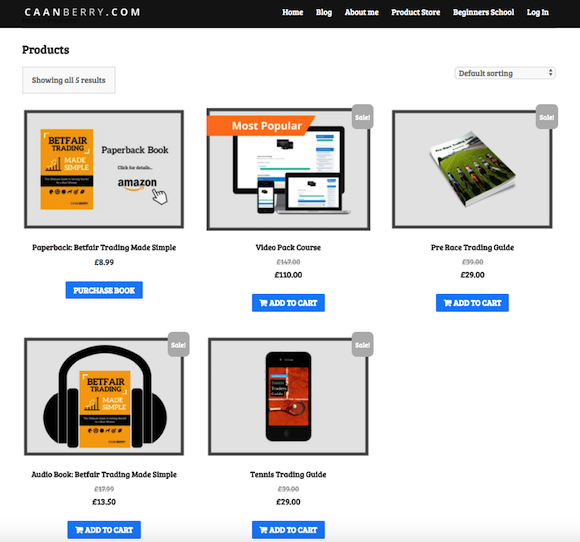 Jon Murphy – “My stupidity and stubbornness mean an inability to admit defeat and, after following for some time and a bit of investigation, I invested further by purchasing both Caan’s Trading Guide and Videos. It’s fair to say that these have been by far the most effective in assisting me in my pre-race trading. My strike rate has increased by 15%, confidence and understanding within the markets are massively improved. Frankly, for someone who has seen pretty much all that’s out there, I couldn’t recommend them enough. It’s been a long journey from 2009 when I first come across trading, while serving in the Military. But it’s been my most life-changing experience yet. Increasing my annual income four times over in the process has meant I can do things I’d previously only ever dreamt of. 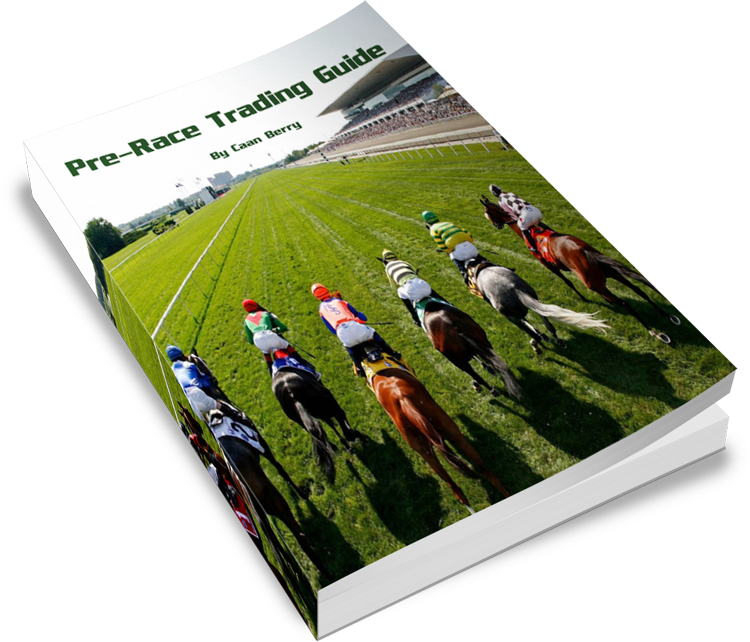 As a customer of the Pre-Race Trading Guide I guarantee if there is anything you do not understand or need further clarification with I will personally respond to any questions you may have, for as long as it takes until there is complete clarity on the topic! I answer all emails directed to support@caanberry.com as soon as possible. If you have any other questions, also feel free to ask. Trading Guide customer emails are always prioritised in peak periods. 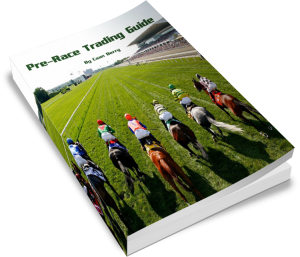 Trading software provider, Geeks Toy ave teamed up with professional trader Caan Berry, to bring you a world exclusive offer on his fantastic Pre Race Trading Guide. Over to Caan to explain a little more…. 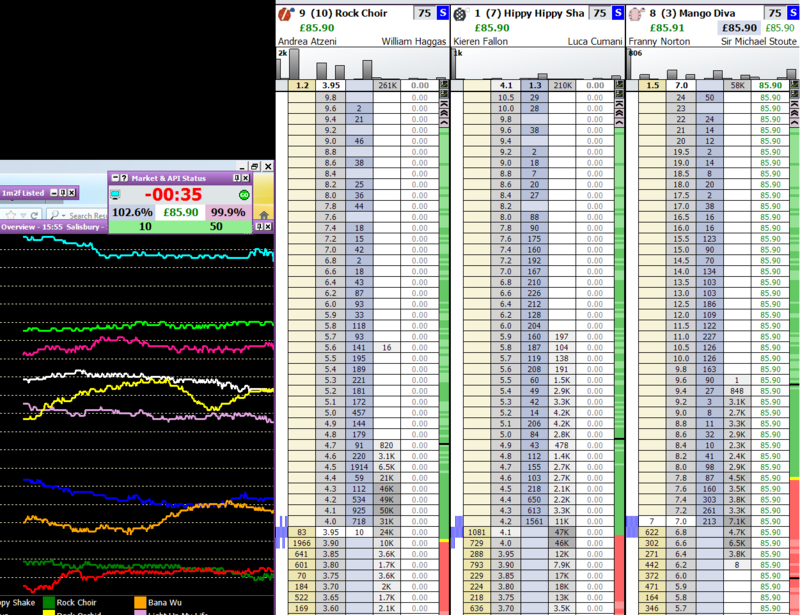 When I first started, Betfair trading software was pretty alien to me. In fact I seen it mentioned on a betting forum first, when someone was talking about betting in-play. Not massively different to the back-to-lay strategy I use regularly, pity it took me until some time after to realise it was a decent edge. After dabbling with a few I quickly realised Geeks Toy was the one for me. The main reason being; it’s the only Betfair trading software I could find that allowed me to customize the interface to how I wanted it. Being visually appealing as well as being able to manage it around my desktop and info sources seemed pretty important at the time, and still is to some degree. Back then I didn’t have the luxury of two 21″ plus sized screens, a separate sky TV and laptop all at the ready. In fact, I only had a laptop. Setting different profiles for different situations is something I still do now, for example seeing the full market depth on the greyhounds or in-play is more important than the horses or tennis. Having just one set ladder configuration for them all isn’t ideal to my mind. Before the API changes, it was known for the fastest response times too. Everyone has their own Betfair trading software preferences, but for me its always been the Geeks Toy. And as they say, if it’s not broke don’t fix it! So with that in mind I’ve spoken to the Geek and he’s kindly agreed to a 10 day promotion (4th June – 14th June). If you purchase the Pre-Race Trading Guide over the next 10 days you’ll receive a 3 month subscription to A Geeks Toy Betfair trading software absolutely FREE! Free subscriptions are automatically generated and activated. So if you don’t have this particular Betfair trading software installed already, you’ll get free access instantly (this is why the geeks toy servers take your Betfair name on purchase). If you’re an existing user of the Geeks Toy Betfair trading software then the additional 3 month subscription will be automatically credited to your ‘run out date’. Claim your FREE Betfair trading software now! Ever wondered what a full time professional trader see’s when they open up a race? You need not wonder any more as this pre race trading guide show’s how to look at the markets race on race as I do day in day out as a full time trader. I realised I could use my Betfair account to profit on a consistent basis through sports trading back in early 2009 after seeing an article about a professional betfair trader on TV. It’s been a long time since I first started trading the pre race markets now although from all the interest I get on a regular basis via email it has become apparent the huge gaps of understanding still exist for beginner and intermediate traders alike. For that reason I wrote this pre race trading guide as I see the markets through my eyes on a daily basis as a full time professional trader. In a nutshell that’s exactly what this is, I aim to give everyone who reads the guide a fair understanding of the markets, how they behave, why that is, what they need and how they should go about implementing themselves in such situations to profit race after race on a consistent basis like I do myself. There are some simple techniques and strategies suggested through explanations backed up with screenshots explaining when they should be implemented and most importantly why! This guide is more than a strategy that works, its me explaining the thinking behind what I do and why I consider certain indicators important!! 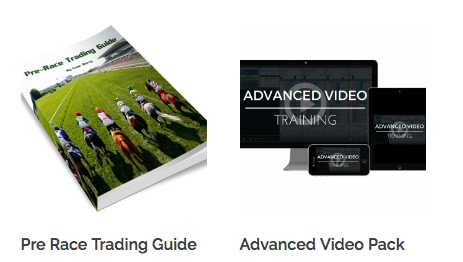 The guide is aimed at ‘aspiring’ traders in the horse racing markets on the online betting exchanges who may have some basic experience in the markets although are still unsure what exactly is going on and why things function as they do. Who is it not aimed at? This guide is aimed at users on a basic and up to intermediate level so it’s not particularly aimed at traders that already understand how the markets work and profit considerably although it may include some information of use to them. The guide includes several sections ranging from my own personal setup, how the markets function and influences that need to be taken into account to both profit and stop unnecessary losses, all the way up to how i anticipate and execute my trades in anticipation of specific situations. The current release is a little over 36 pages long in PDF format with images and screenshots to aid explanations. There is no ‘padding’ in the document whatsoever. There will be update’s over time which is no extra cost as it is a one off payment. Nick Wise – I have just purchased the manual , and even as an experienced trader – I must say that I was very impressed. It is clear,concise and very much to the point. If you are considering to buy the manual I would strongly recommend that you do so. You will not be disappointed. 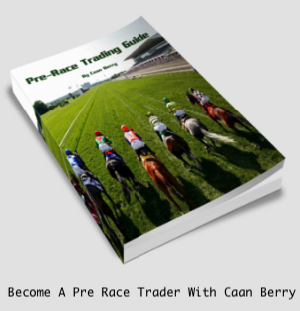 Bet72 are delighted to have teamed up with professional trader Caan Berry, to bring you a world exclusive offer on his fantastic Pre Race Trading Guide. After payment. I will receive a notification email, once I have confirmed your payment you will automatically receive an email with login credentials. Any questions also feel free to contact me on the above email!